Gelsenkirchen - Although FC Schalke 04 went some way to redeeming themselves for last weekend's defeat to FC Bayern Munich with a comfortable 3-0 win over 1. FSV Mainz 05 on Tuesday night, the result painted a somewhat inaccurate picture of the proceedings in Gelsenkirchen. The Royal Blues were dominant in terms of possession but struggled to create clear-cut opportunities on home turf, prompting some impatient jeers from the crowd in the second half. Striker Klaas-Jan Huntelaar again drew a blank after relinquishing penalty-taking duties to teammate Jefferson Farfan and missing a late chance from close-range. Afterwards, the Dutch international's attention was drawn to the crowd's apparent restlessness and he agreed that both he and the team have work to do in attack ahead of their weekend clash with Fortuna Düsseldorf. 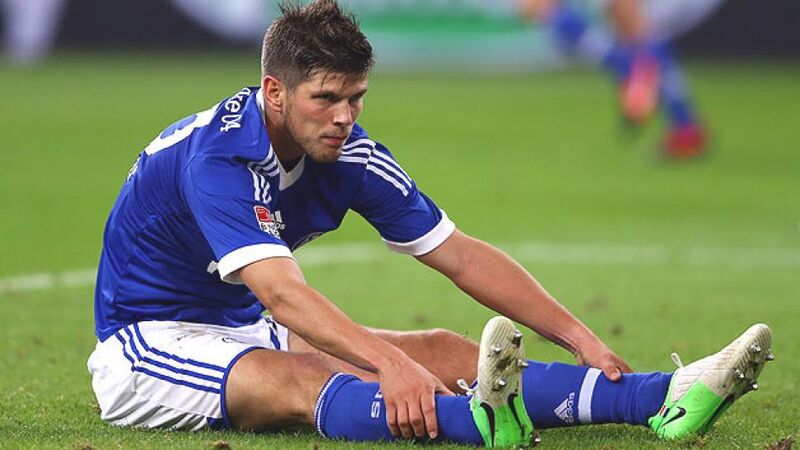 Question: Klaas-Jan Huntelaar, congratulations on the victory. What was your view on the game? Huntelaar: We weren't quite at our best, but we won it 3-0. At the end of the day we're satisfied with ten points so far. Question: You allowed Jefferson Farfan to take the team's first-half penalty. Was that something you had agreed on before the game? Huntelaar: No, we decided it then and there. After my toe injury, I didn't feel 100 percent fit and I'd missed my last penalty as well. So I let 'Jeff' have it and he agreed straight away. Otherwise I would have taken it myself. Question: You were a tad unfortunate when that big chance fell your way towards the end. What was your take on it? Huntelaar: Lewis Holtby put a pacey cross in from the left that went between the goalkeeper and the defender. I tried to slide in and I made contact with the ball, but it went over the bar. Just bad luck, really. Question: You mentioned your injury problem there. Do you feel you are back to full fitness now? Huntelaar: I'm getting there, yes. There are still a few pains here and there, but I was able to run reasonably well in this game. Question: The result papered over the cracks of Schalke's problems in front of goal somewhat - would you agree? Huntelaar: Yes definitely. We made some sloppy mistakes in our attacking game. In the first half we played well and had a one-goal lead, but we hadn't played as convincingly as we had hoped. After half-time we wanted to do more in the game, but it didn't quite work out that way. The crowd became a little frustrated and we could hear some whistling but we eventually got the second goal to make the result safe. Nevertheless, we certainly have room for improvement in our attacking game. Question: Can you understand the fans' whistling? Huntelaar: I think the fans in the north end supported us really well and that's really important for our young team. It's also to be expected that the fans get irritated if we are not playing well, but whistling can upset a team's rhythm as well. Question: How do you feel you combined with Ibrahim Afellay? Huntelaar: He played on the left side of midfield and he did his job really well. Question: You take on high-flying Fortuna Düsseldorf next. What does the team need to improve upon? Huntelaar: Düsseldorf still haven't conceded a goal and are playing really well. Our job is to change that and of course we want to go there and win the game. Question: Is the Bundesliga a better league with Düsseldorf now competing? Huntelaar: Up to now they have given a very good account of themselves. They've won well at Greuther Fürth and in Augsburg and we respect them as a team.